Okay, Miles - you named Dorothy's roles in SONS and EMPIRE. But can you name her HUSBAND in LITTLE GIANT?? His photo is below. Ray, I know that guy! (Or if you're directing this specifcally to Miles, I'll wait and let him answer, if he knows). I'll say that I seem to see this actor mostly as cab and/or truck drivers and also bartenders. Well, I'm back after a couple of days away. That fellow is Ralph Peters. Like Musicalnovelty said, he played a lot of cops, cabbies, bartenders, and henchmen. Here he is. Now, here is an actor who was in a movie with Ralph Peters. Do you recognize him? You must remember those eyebrows! 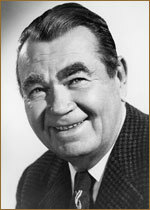 Oscar Homolka I beleve with the huge eyebrows. Yep, Ralph Peters. He was also a guitar player and appeared in several pictures such as RHYTHM INN as part of a swing band. 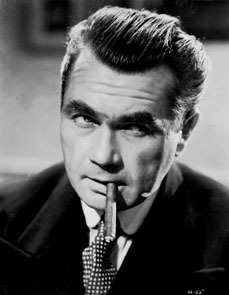 Yes, roverrocks, it's Oscar Homolka. He and Ralph Peters were both in "Ball Of Fire". 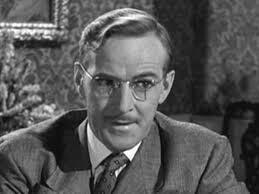 Now, do you know this character actor? He could certainly look different in almost every picture he was in..
You got him, Dargo. 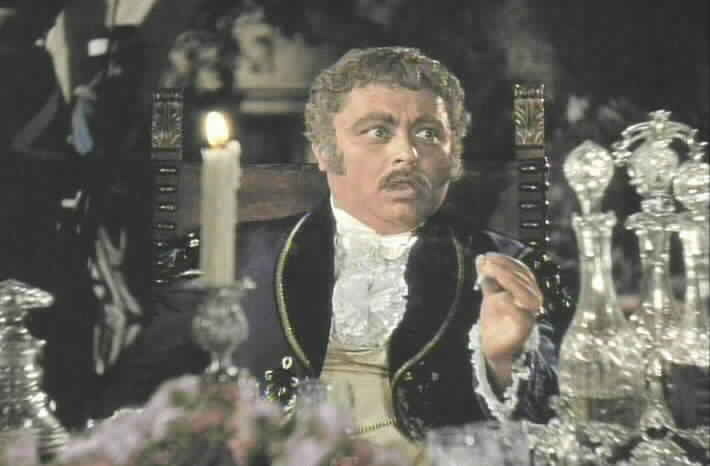 He often played characters who were older than he actually was. He was blacklisted during the HUAC hearings of the early fifties. He went to England to work on the stage where he died of a heart attack at age 47. Now here is a fellow who specialized in playing old curmudgeons. Do you know him? Here he is with Jane Withers. Here's a hint. He made several movies with Shirley Temple. You got him, Lavender. Shirley always softened his heart. Now, do you know this fellow? He played a lot of villains and scientists. He was very busy in the forties and fifties. He had a small part in a movie just shown on TCM last weekend. 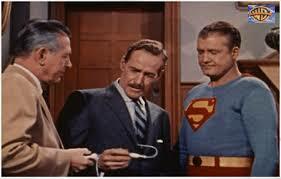 Here he is with Superman and Inspector Henderson. Sorry, no. This guy once played Robert Blake's father. * deleted* Trying to post a picture. No options except bold, italics and underline. That last guy is Arthur Space. 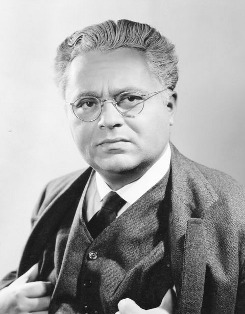 The movie in which he played the father of Bobby Blake is THE BIG NOISE (1944). THE FULLER BRUSH MAN (1948). Poor Nicholas Joy. Bumped off in '48 at Columbia and in '49 at U-I (A&C MEET THE KILLER). As Warren B. Myers might have said, he should have stayed in bed! Arthur space is correct. Musicalnovelty identified him. He was seen last Saturday on TCM in "Twenty Million Miles To Earth". He and William Hopper were the only surviving astronauts who were pulled from their spaceship before it sank in the Mediterranean. Now, here is a young lady who started as a child actress and had about a fifteen year career into adulthood. She never became a big star and most of her roles were minor, but she was in some well known movies. Do you know her? 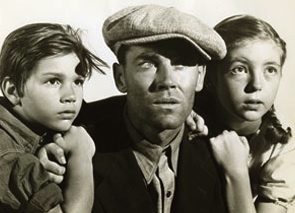 I think it's Shirley Mills, who played Ruthie, the younger daughter in Grapes of Wrath. Very good, Rosebette. It is Shirley Mills. 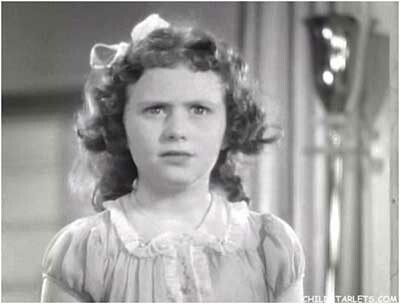 She was also in two movies with Shirley Temple, as well as Hitchcock's "Shadow Of A Doubt". 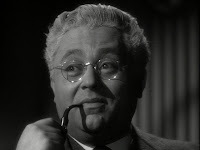 Now here is a character actor with a not so fabulous face. Do you know him? His name isn't much better Miles! Murvyn Vye, recognize him as one of the bad guys in *River of No Return* he was also in *Pick-Up on South Street* he was in alot of tv shows in '60's ??? Murvyn Vye is correct,Lavender. Did you know that he was educated at Yale and he played the villain, Jigger, in the original stage production of "Carousel" on Broadway in 1945? 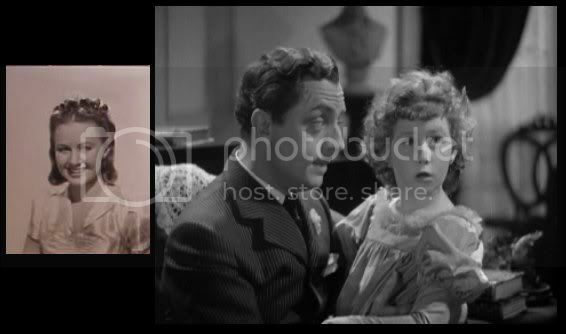 Here he is as Jigger, putting a move on former "Our Gang" member Jean Darling, who played Carrie Pipperidge. 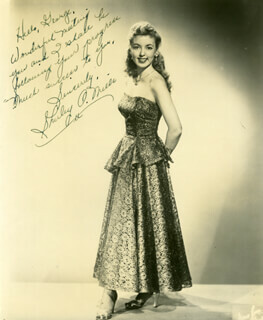 Now, here is a young lady who was a contemporary of Shirley Mills, but she had much bigger roles in pictures. Do you recognize her? Yes, she had an adult career as well. Today, December 7th, "The Day That Will Live In Infamy" is also my fifth anniversary on these boards. 5700 posts in five years is 1140 per year. That's about two weeks worth for finance! No guesses? Here's some more shots of our young actress. She was in a well known movie in which Pat Nixon was an extra.